Vittachi has written more than 20 books and literally thousands of feature stories for magazines or newspapers. His best-known fiction work is the novel series The Feng Shui Detective, the fourth volume of which is coming out in 2007 in most countries. Its a comedy-crime series, suitable for adults and teenagers. But he also writes fiction specifically for younger people, the best known being Dead Eric Gets A Virus. 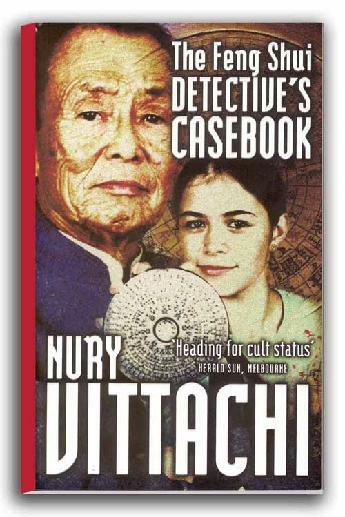 (Click here for comments on that book, or hover your cursor over "Nury's books" on the top of the screen and click on the title for a synopsis.) His non-fiction works range from serious business books, such as Riding The Millennial Storm, to humorous works such as Only in Hong Kong. New on the market are The Shanghai Union of Industrial Mystics, a novel for adults; Twilight in the Land of Nowhen, a novel for nine-to-14s; Mozzle and the Giant, for under-sevens, and The World's Funniest Book of Poems. Click on the selected titles by hovering over "Nury's books" in the menu at the top for more information.